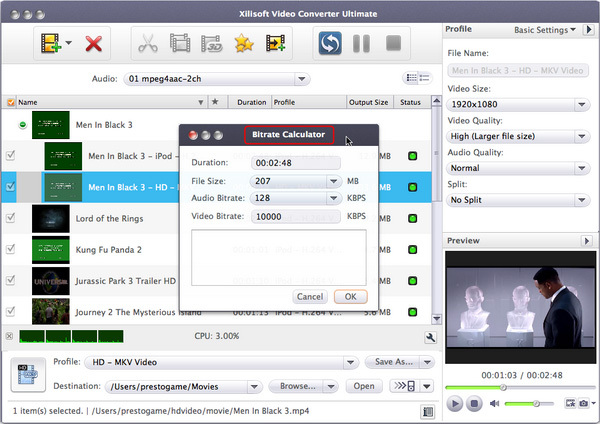 For Mac users, Xilisoft Video Converter Ultimate for Mac can convert more than 160 video and audio formats incl. 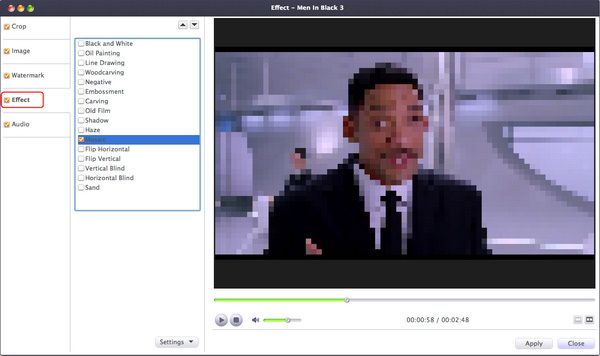 3D and HD videos on Mac. It can convert videos to playable on the PSP, iPod, PS3, iPhone, iPad, Apple TV, Zune, mobile phones as well as many others. 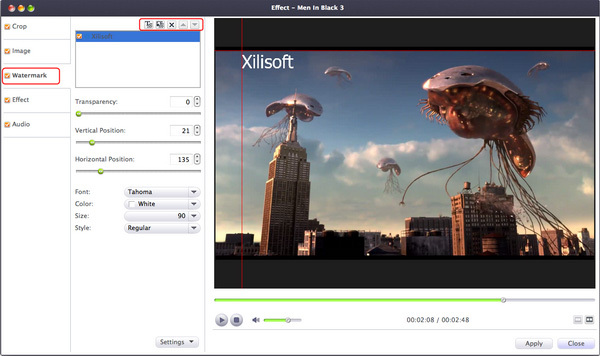 Moreover, it supports video editing: Clip, crop, merge, split, watermark, and add soundtrack, etc. 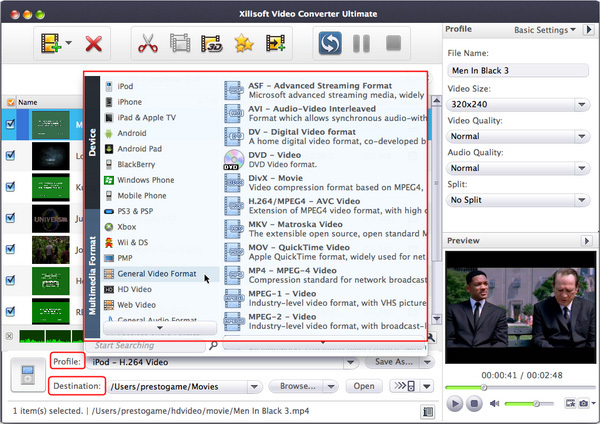 Here is the detailed guide for Xilisoft Video Converter Ultimate for Mac. 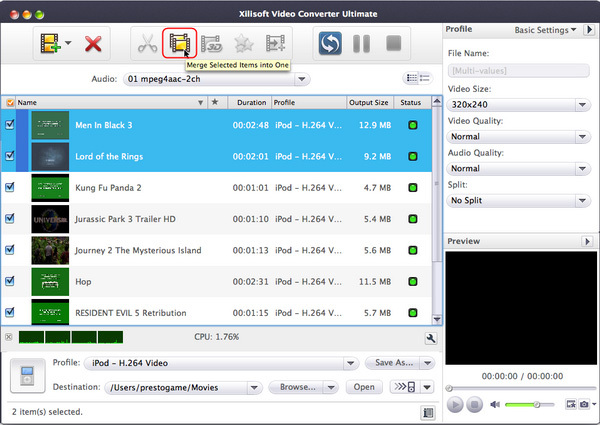 Firstly, download Xilisoft Video Converter Ultimate for Mac and then install and run it. Click "Add File(s)" button on the toolbar or select "File > Add File(s)" on the main menu to load files. 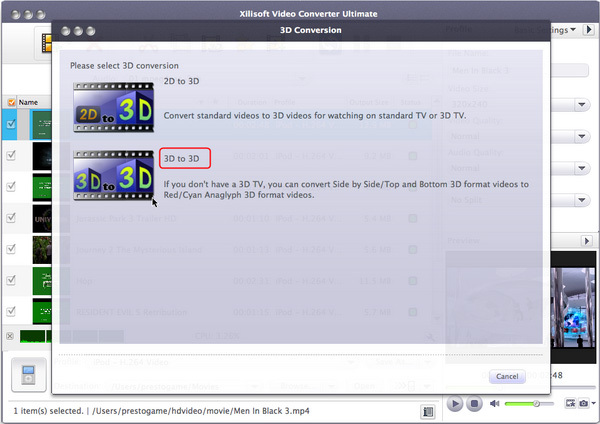 Choose the file you want to convert in the file list, and Click "3D Conversion" button on the toolbar to enter "3D Conversion" window. 1. Click "2D to 3D" button to open settings interface. 2. Click "Anaglyph (Red/Cyan)", "Side by Side", "Side by Side (Half-Width)", "Top and Bottom" or "Top and Bottom (Half-Height)" under the preview area, select an output mode. (1) You can drag the "3D Depth" control slider to set the depth. (2) Check the "Swap L/R Image" option, you can switch left and right eye's image. 3. Click "Finish" to return to the main window. 4. 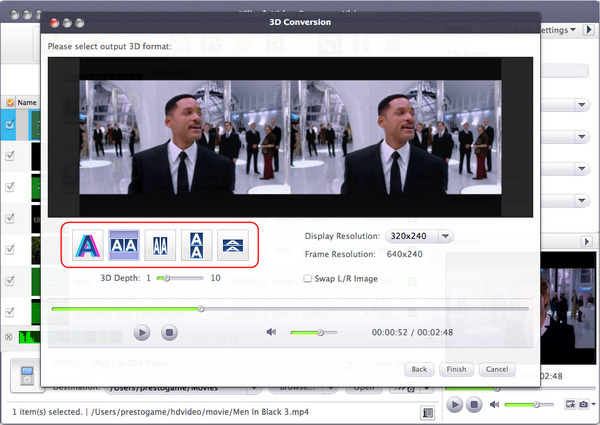 Click "3D to 3D" button to open settings interface. 5. 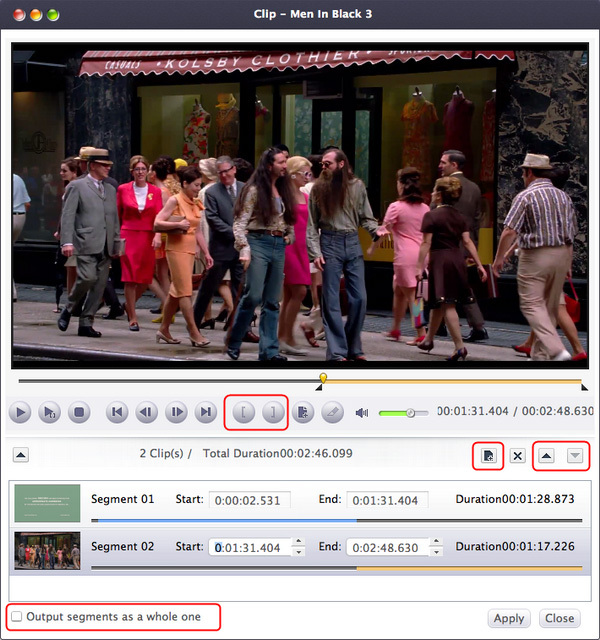 Click "Side by Side", "Side by Side (Half-Width)", "Top and Bottom" or "Top and Bottom (Half-Height)" under the preview area, select a source mode. 6. Click "Next" button to return to next step.Click "Anaglyph (Red/Cyan)", "Side by Side", "Side by Side (Half-Width)", "Top and Bottom" or "Top and Bottom (Half-Height)" under the preview area, select an output mode. Tip: Check the "Swap L/R Image" option, you can switch left and right eye's image. 7. Click "Back" to return to previous step. 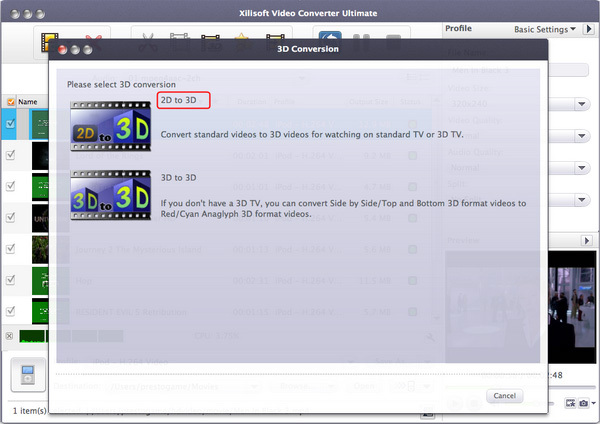 If you click "Remove 3D Conversion Settings", then the 3D conversion will be removed. 8. Click "Finish" to return to the main window. 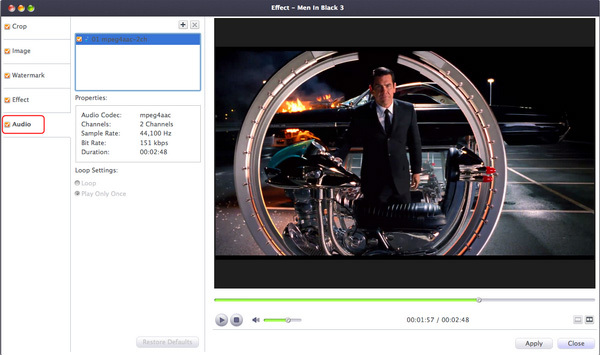 At first, choose the video file you want to clip. 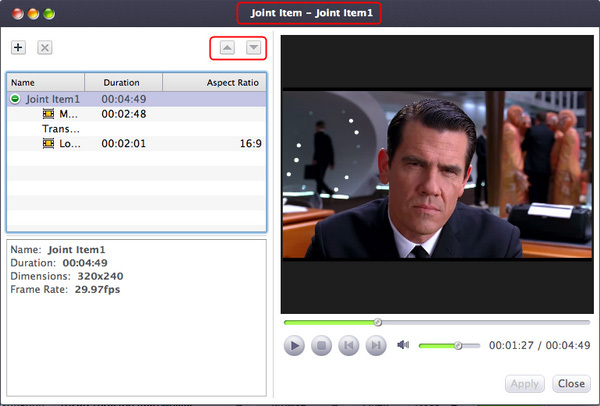 Then click "clip" button on the toolbar to enter "Clip" window. Set the start & end point to get the partial segment and repeat the action to get several segments at will. After clipping, check the "Output segments as whole one" option and merge the segments in the list into one file. And then click "Move Up" or "Move Down" button to specify the sequence of these segments. From "Setting" drop-down list, choose "Restore Defaults" to restore the default. Or select "Apply to All Transitions" to apply the above settings to all the sub-items in this joint item. Right-click a merged picture item in the file list and choose "Edit Joint Item" option from the right-click menu to open "Edit Joint Item" window. Choose a picture item and set the picture's direction by clicking "Rotate Clockwise", "Rotate Counterclockwise", "Flip Horizontal" or "Turn Vertical" button on the top right settings panel. Then you can adjust the order of the picture items by clicking "Move Up" or "Move Down" button, and click "Reset" button to reset all the settings to default. You can also add transition effects for each picture item and choose a time length as the transition duration like what you have done in "Edit Merged Video Item" part. On "Image" tab, enter the value of the brightness/contrast/saturation in corresponding textboxes to set the video image’s brightness/contrast/saturation. In "Watermark" tab, click "Add Text Watermark" or "Add Picture Watermark" button to import watermarks into the watermark list. Select a watermark and transparency, vertical position, horizontal position, font, color, size or style . 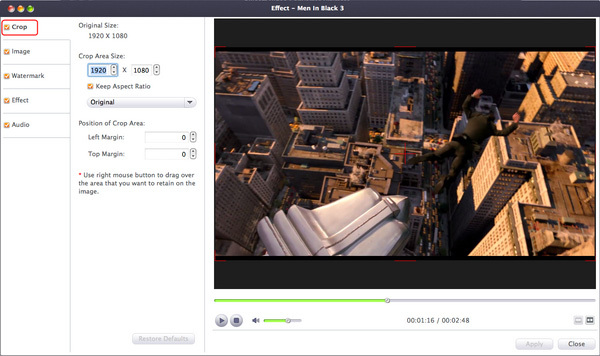 In "Effect" tab, choose an effect for the output video from the effect list.